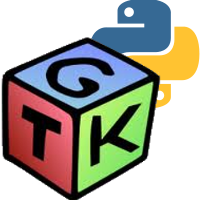 Resurrecting the blog series about Python and Udisks, today I’m going to talk about how to get some more informations about the devices using properties. 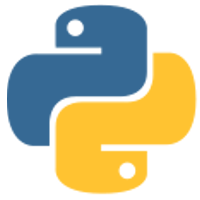 Rejected send message, 4 matched rules; type="method_call", sender=":1.60"
(uid=1000 pid=19165 comm="/usr/bin/python2 ./test-me ") interface="(unset)"
member="Get" error name="(unset)" requested_reply="0" destination=":1.19"
After some days of research and failed attempts I decided to do something that many people avoid: read the source code from other projects. After some research I found the liveusb-creator project, which use UDisks and DBus to detect new removable devices. My solution was in the creator.py file (more specifically at the method handle_reply, from lines 445 to 450) available here. According to the last line of code above this device uses an ‘ata’ interface to comunicate with the system, so it isn’t a removable device. Since we are only interested in devices that connect via USB, let’s iterate over the devs array and test if the DriveConenctionInterface property is equal to ‘usb’. Note that I used the DeviceFile property to get the block device path. Done! Now we can chose only the removable device that we want. In the official UDisks documentation there is was a Properties section that list all properties with a brief explanation. In the next post I’ll show how to call some of the methods presented in UDisks documentation. Graduated in Telecommunication Engineering, but currently working with GNU/Linux infrastructure and in the spare time I'm an Open Source programmer (Python and C), a drawer and author in the Mind Bending Blog.